Mr. KNOW walked under the scorching sun all day! 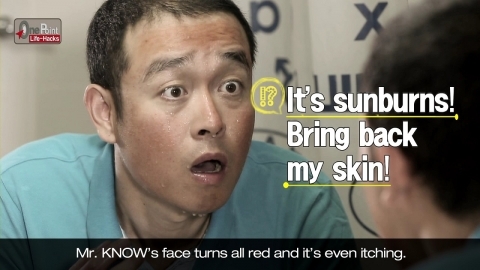 Mr. KNOW’s face turns all red and it’s even itching. ▶ Take a cold shower for 20 minutes without using soap. ▶ Cool the skin with a mixture of cold water and cold milk. ▶ Use watermelon face packs.